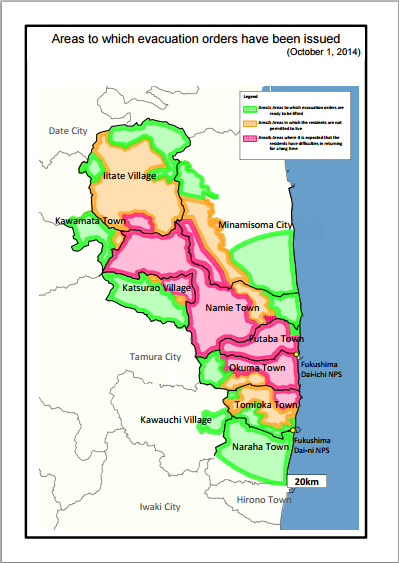 The evacuation order has been lifted for the town of Naraha in Fukushima prefecture on Sep.5, allowing 7,400 residents to return to their homes there. 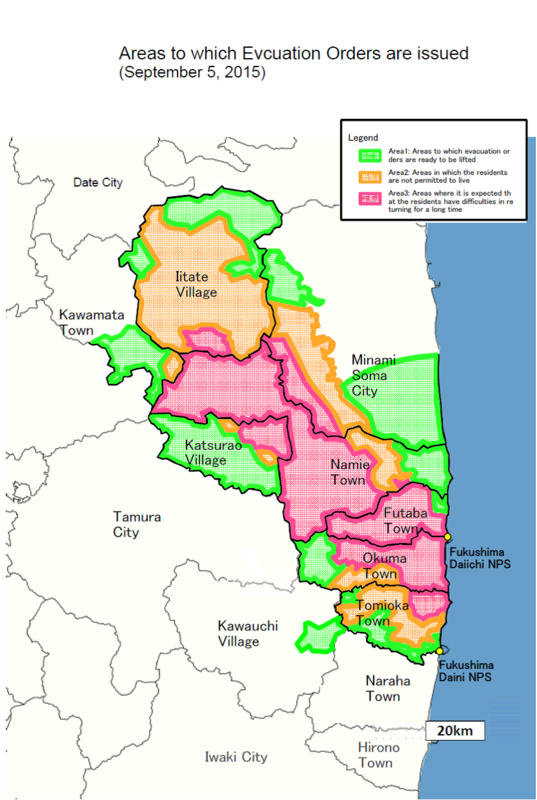 Among seven municipalities where all the residents were ordered to evacuate after the triple-reactor meltdown following the Great East Japan Earthquake and tsunami, Naraha was the first one to allow people to return to their home permanently. 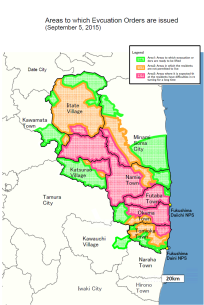 Naraha, located within 20 kilometres of the crippled Fukushima Daiichi nuclear power plant, is seen as a test case for the return of evacuated residents. Although evacuation order was removed, only few people returns to their home immediately because of concern for radiation and lack of infrastructure. According to a survey, 46% of the residents hope to return. Naraha was initially designated as a no-entry zone, which in principle prohibited residents from entering the town. But it was redesignated as a zone being prepared for the lifting of the evacuation order in August 2012, which meant that residents were allowed to enter the town during daytime hours.